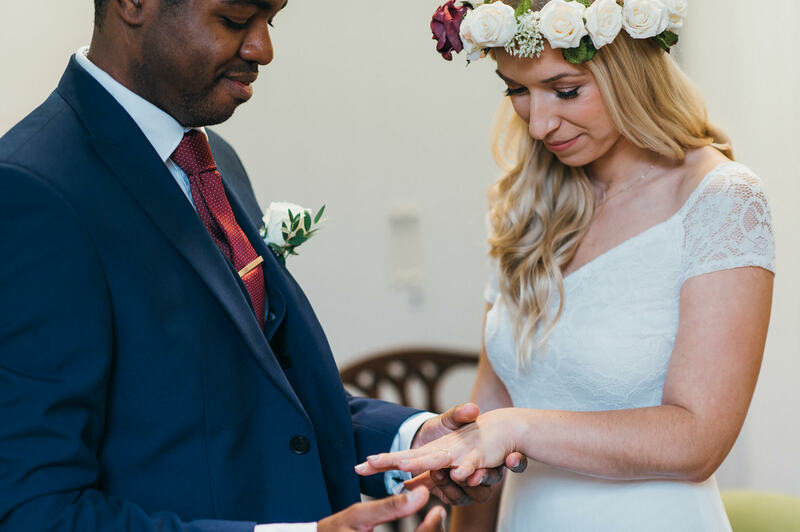 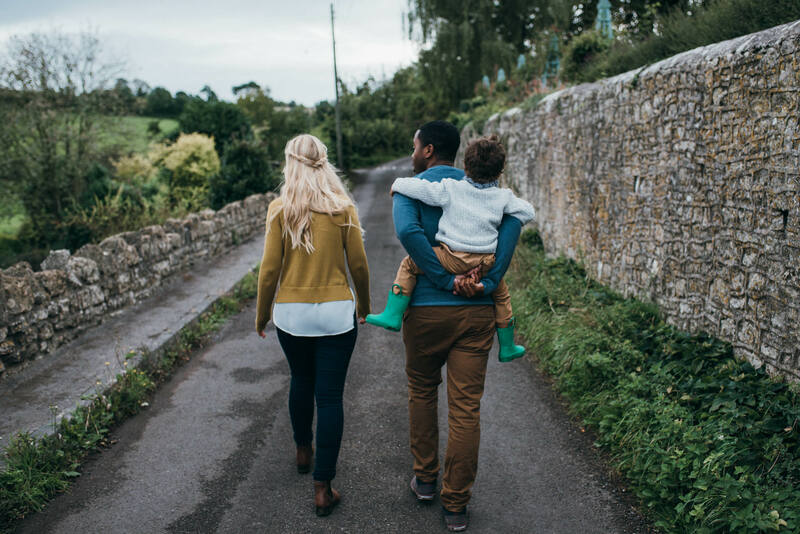 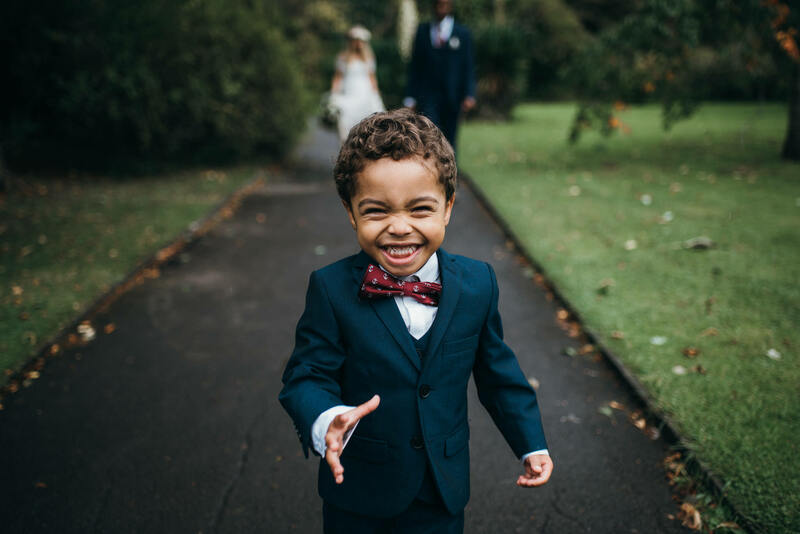 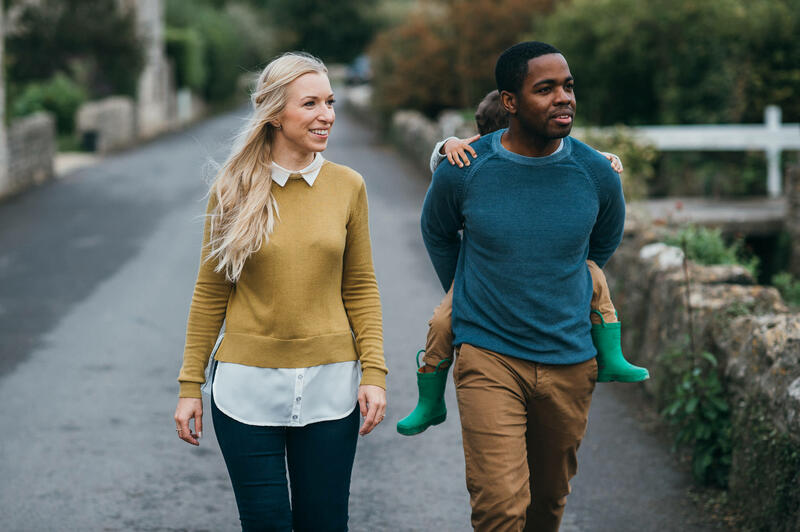 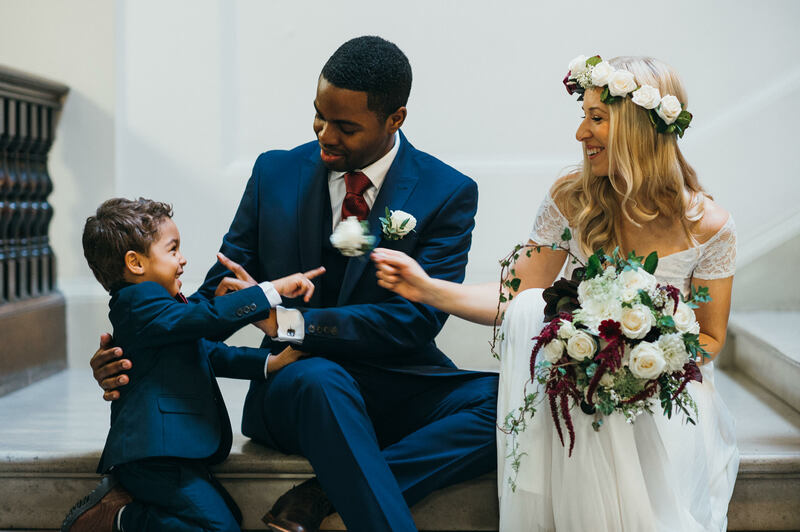 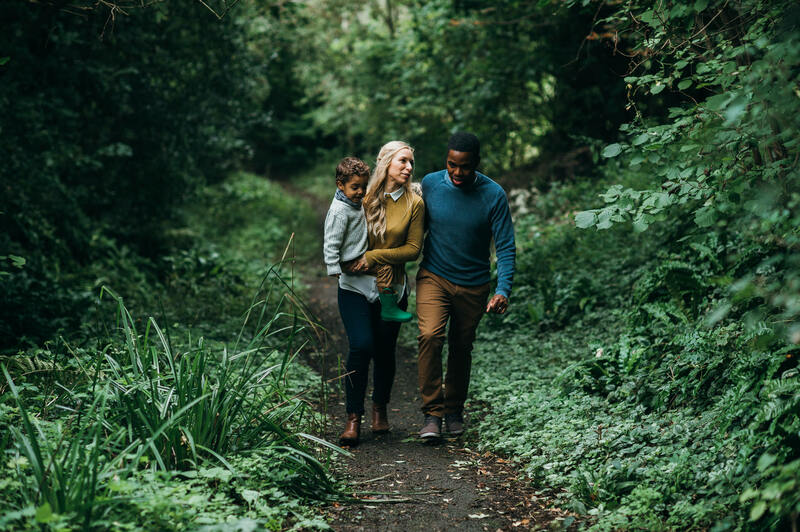 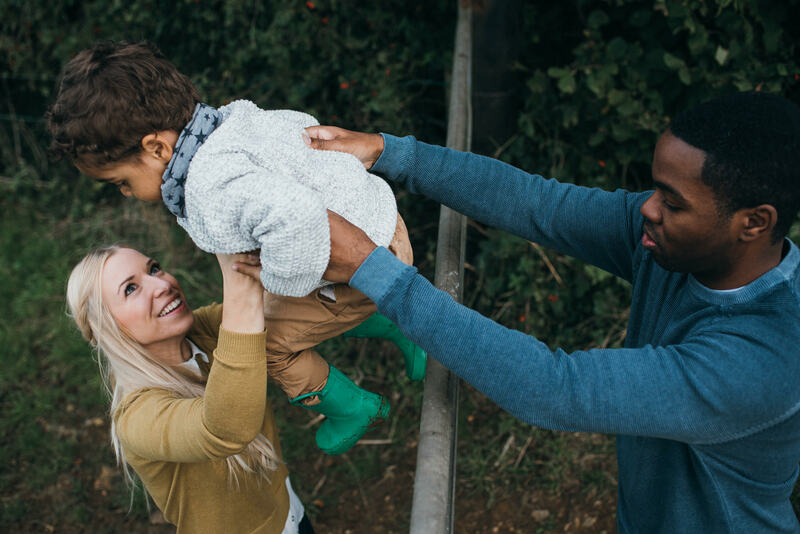 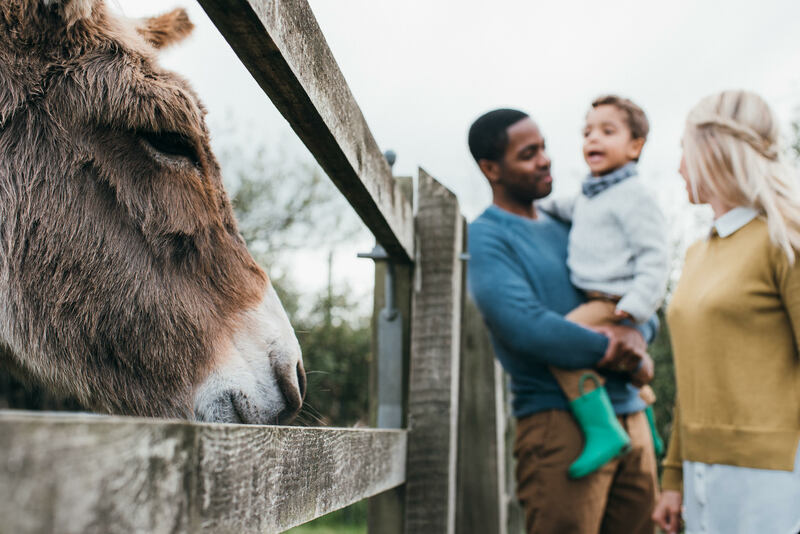 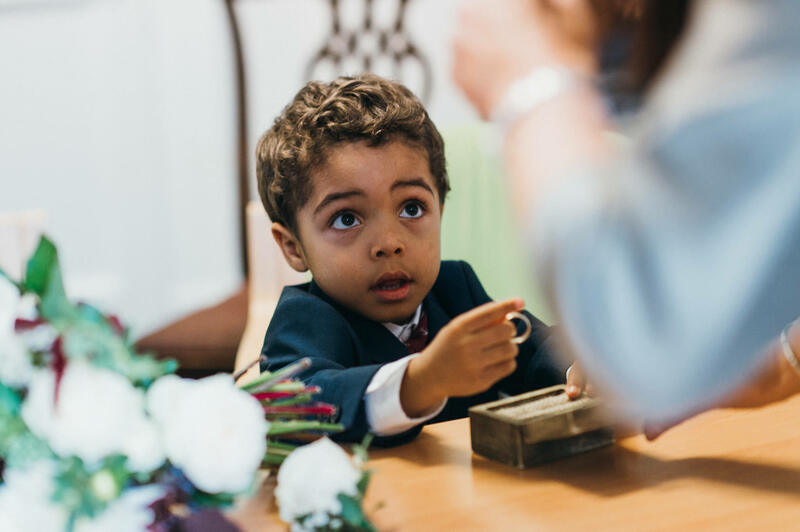 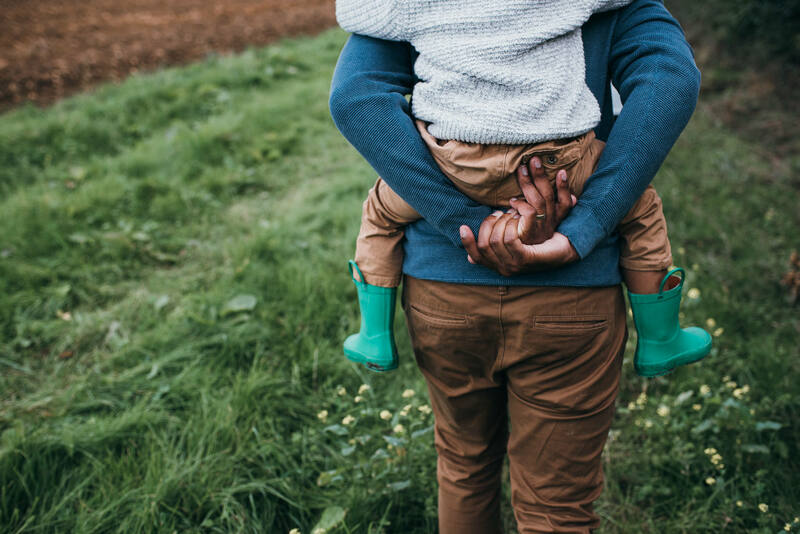 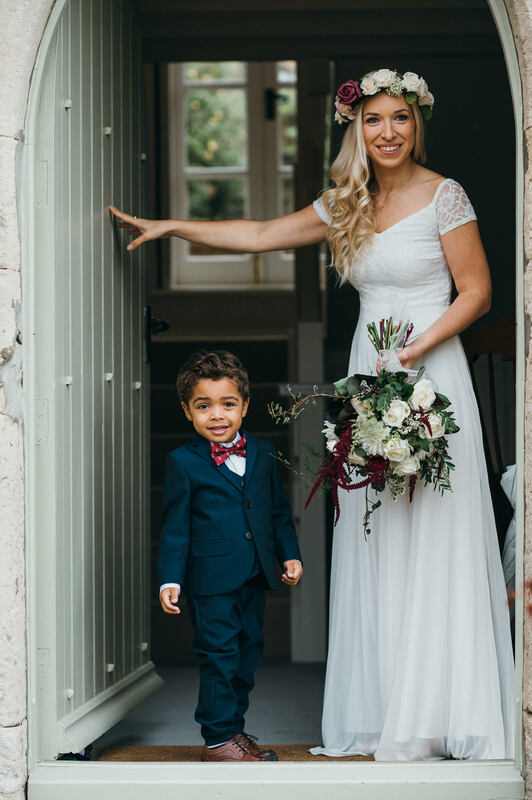 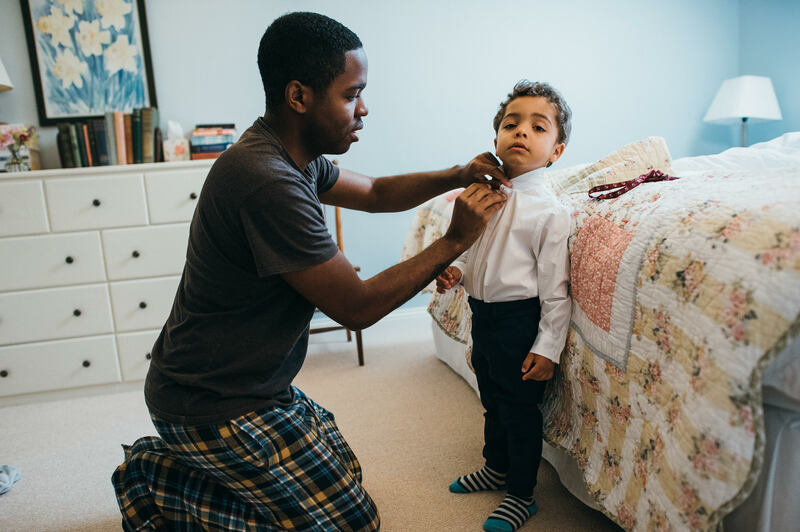 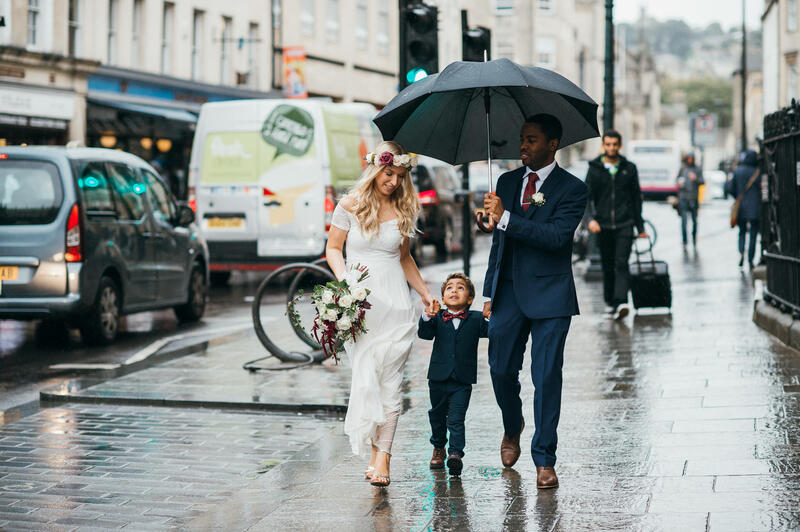 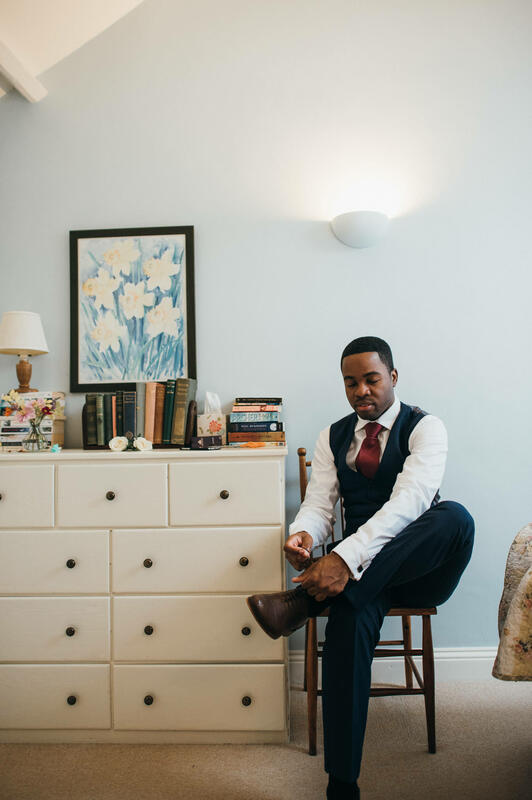 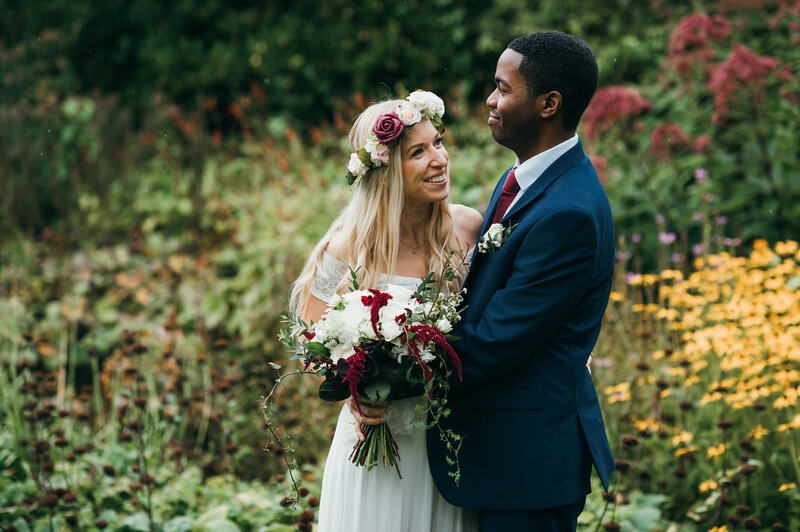 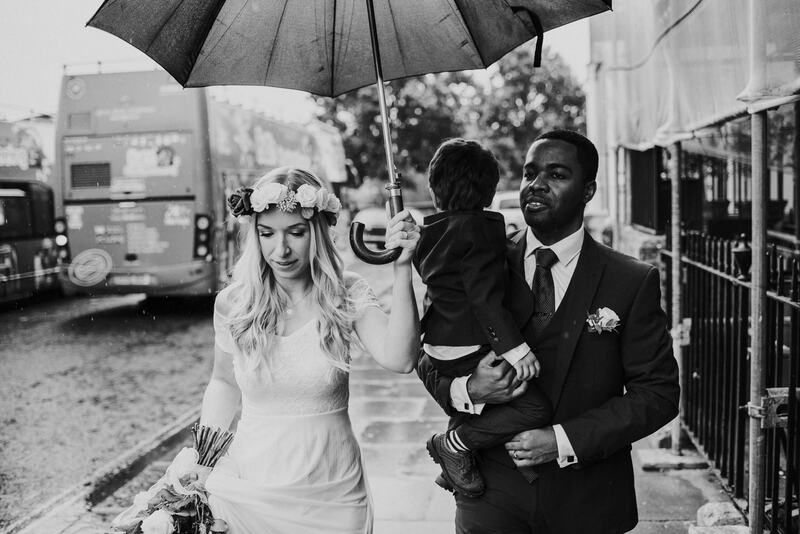 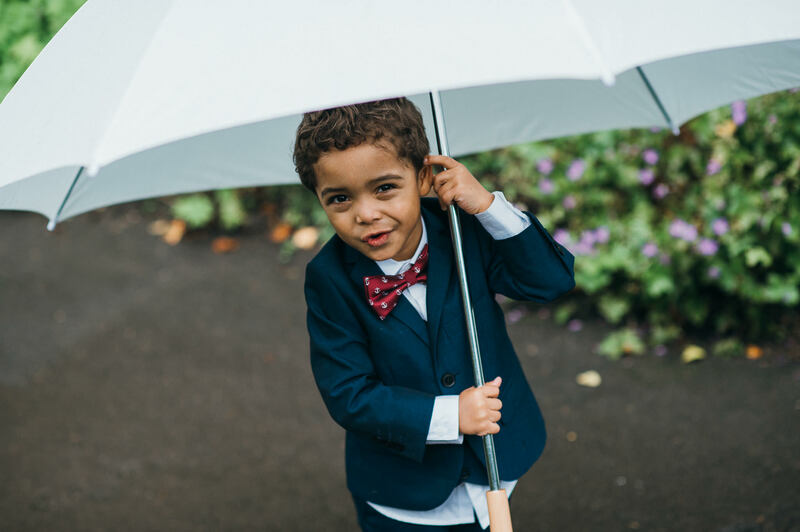 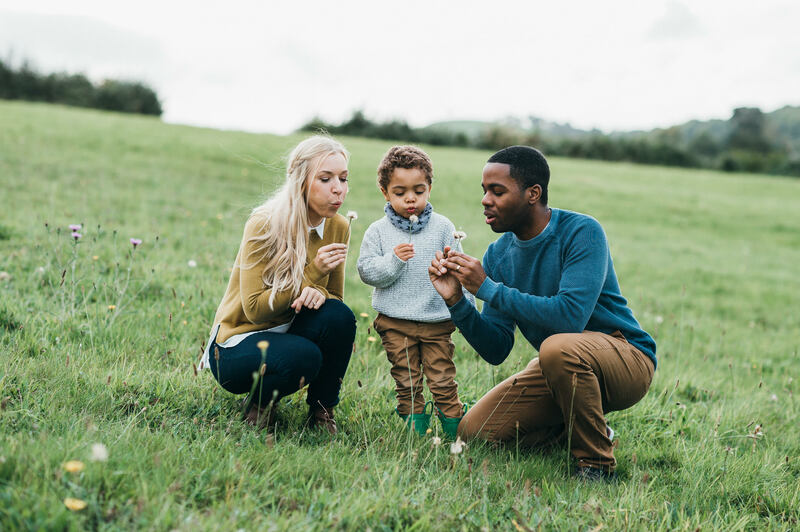 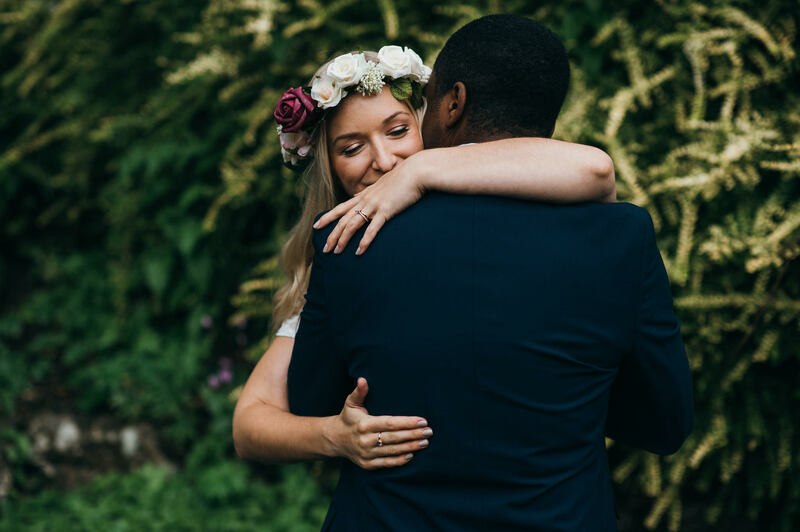 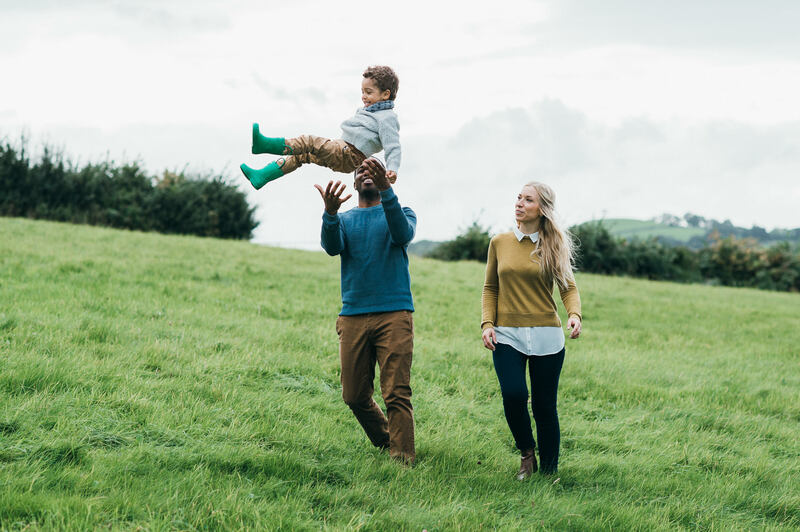 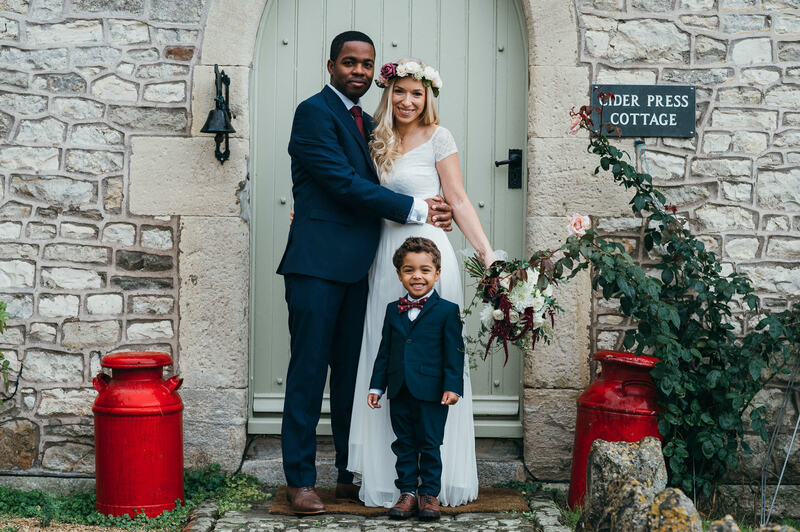 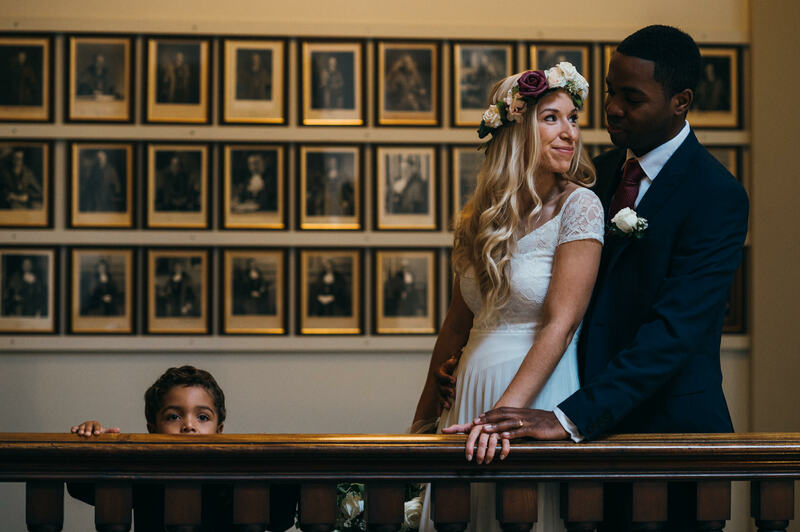 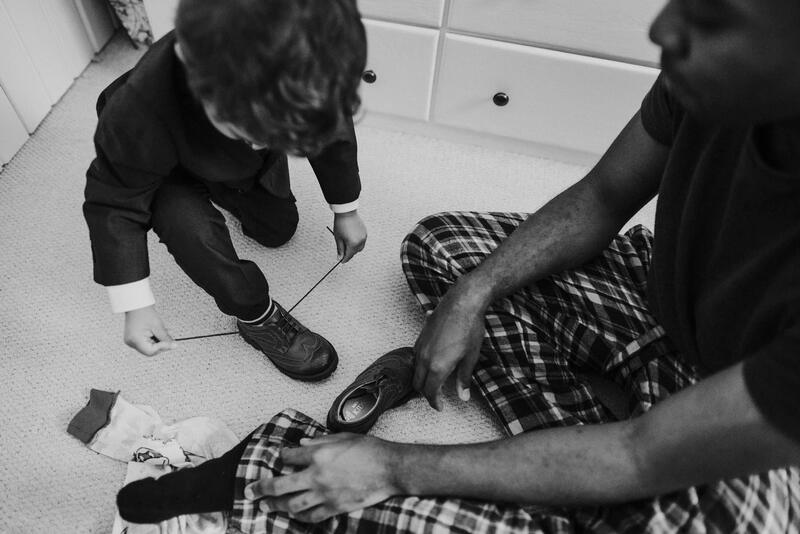 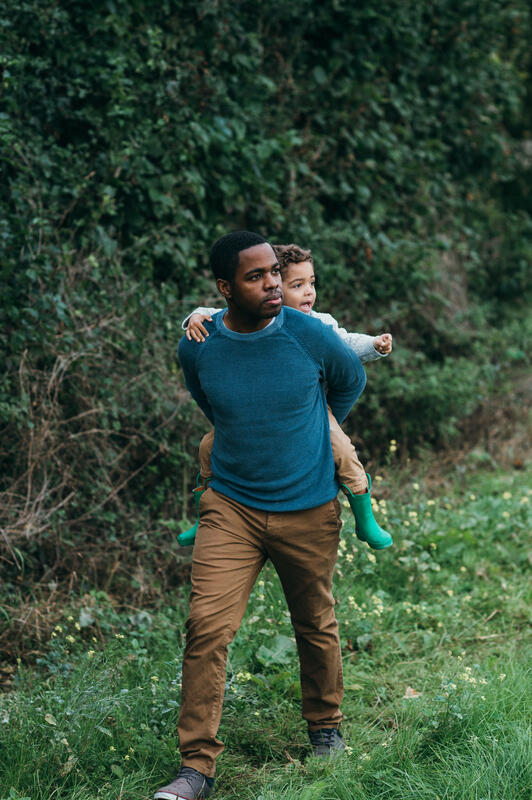 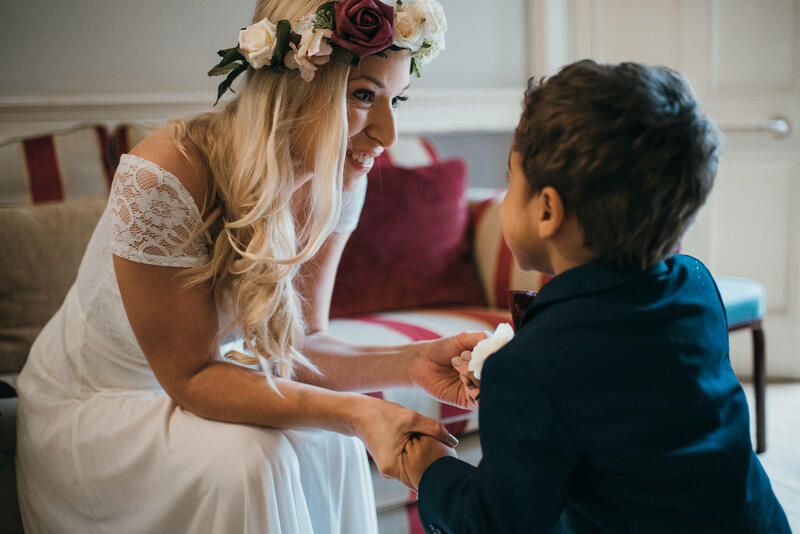 Karin and Tyrone chose to celebrate their marriage with an intimate elopement in beautiful Bath with just the two of them and their son. 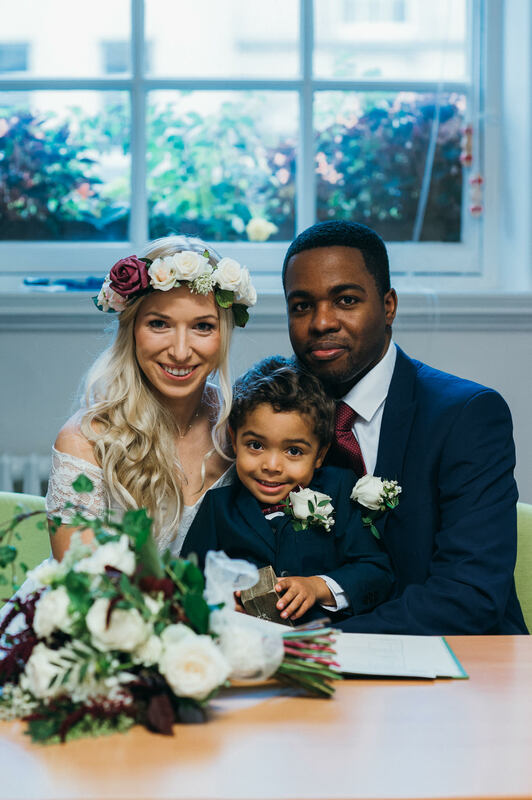 As they were keeping it such a small affair, I was even more honoured to be asked to be a witness at the wedding as well as photograph it! 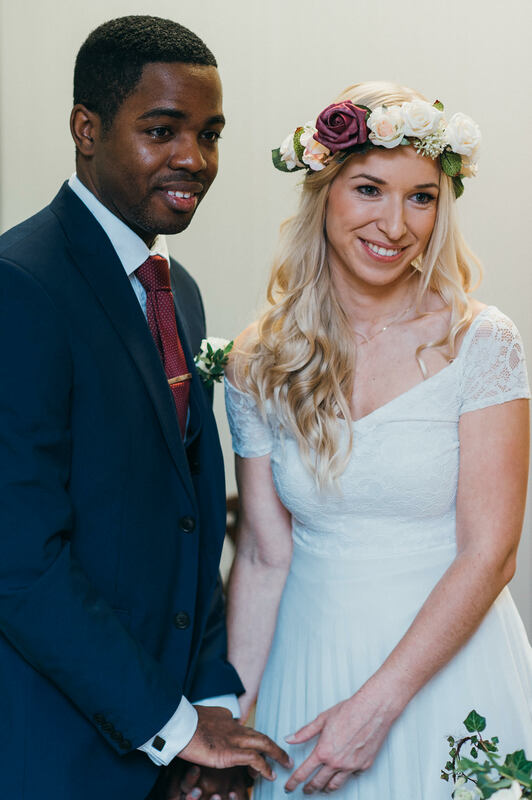 With Karin originally from Estonia and their families spread out around the world, plus the fact that a formal, traditional white wedding just wasn’t ‘them’, they made the decision to celebrate in a unique and special way. 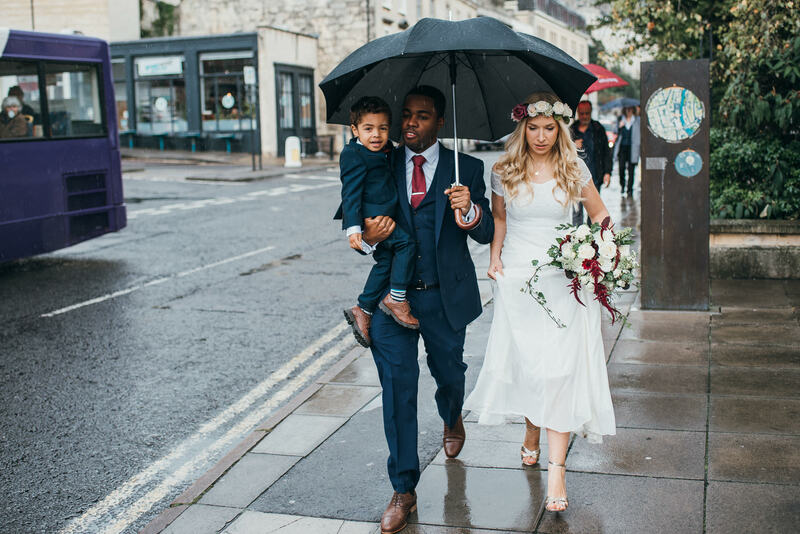 The couple tied the knot at The Guildhall registry office in the centre of Bath after getting ready at a pretty cottage in nearby Priston. 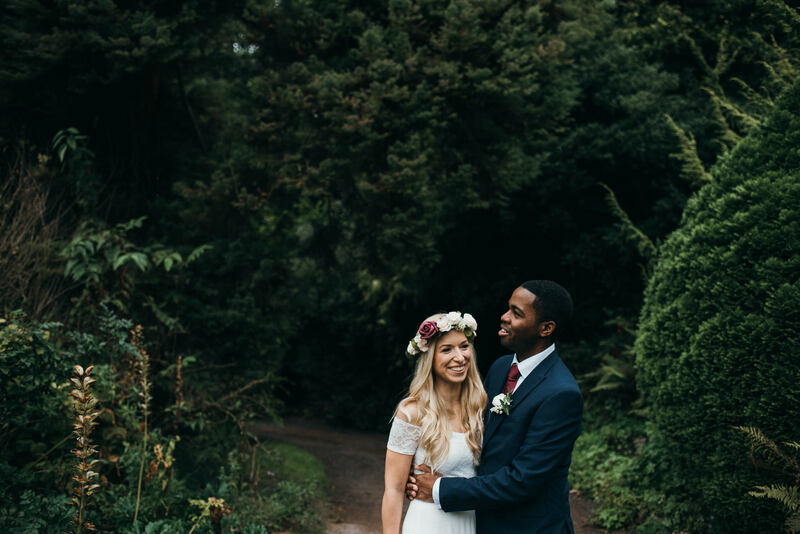 Afterwards, we took a stroll through the Botanic Gardens in Royal Victoria Park for some post-ceremony pictures - thankfully the rain decided to give us a break at this point! 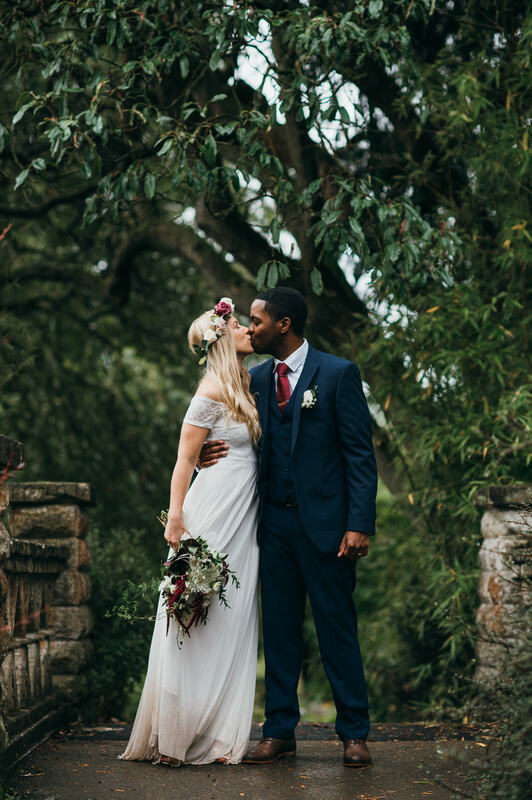 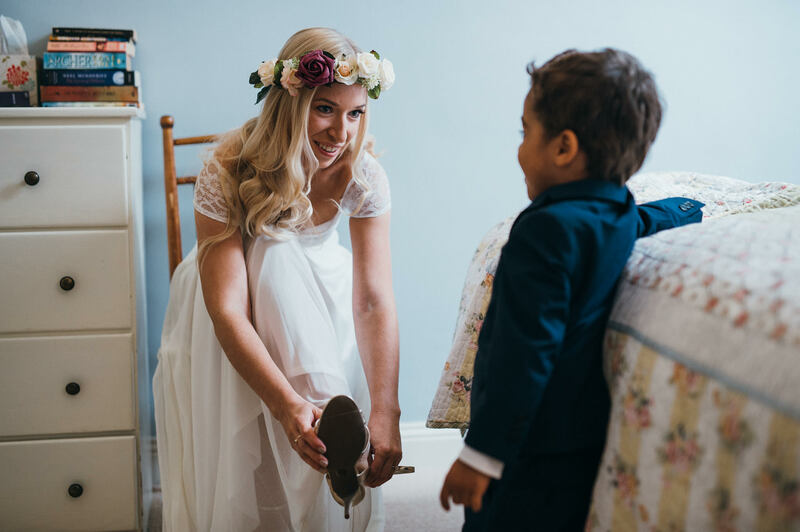 Karin’s style on the day was a relaxed, boho look with a stunning dress from ASOS Bridal and shoes from Dune. 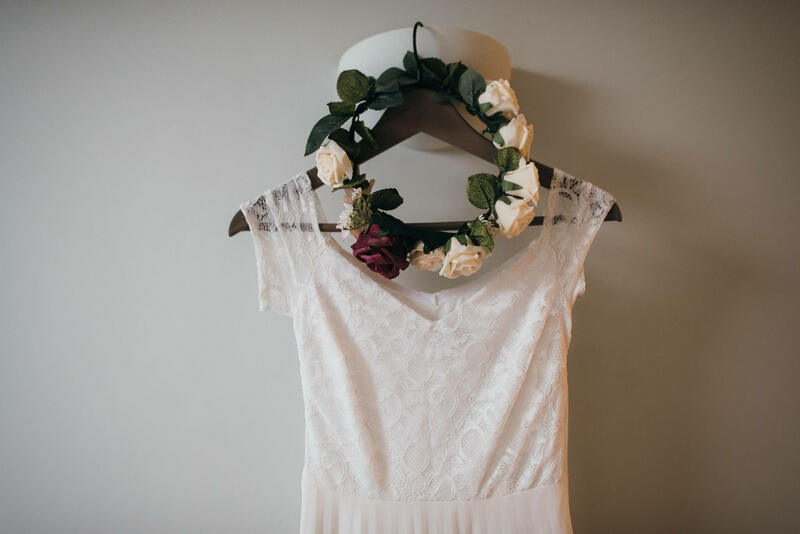 She topped off her outfit with a white and burgundy flower crown which she made herself. 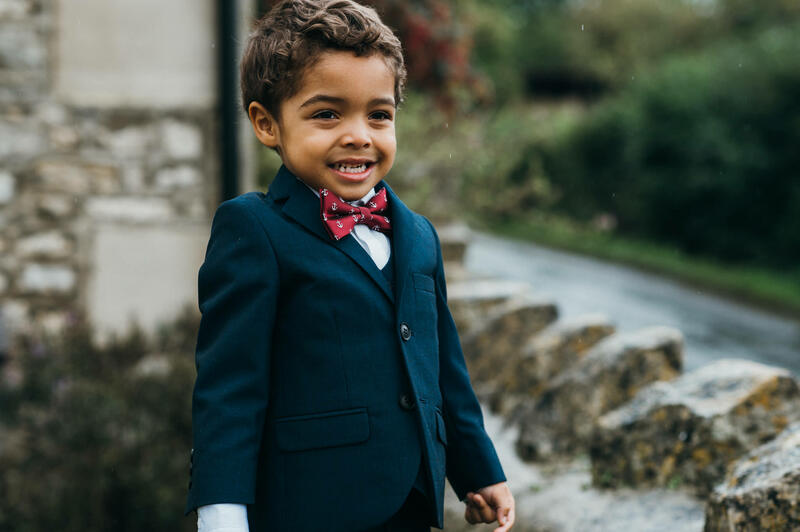 The burgundy and dark blue colour theme suited the time of year and was followed through into the boys’ suits and ties. 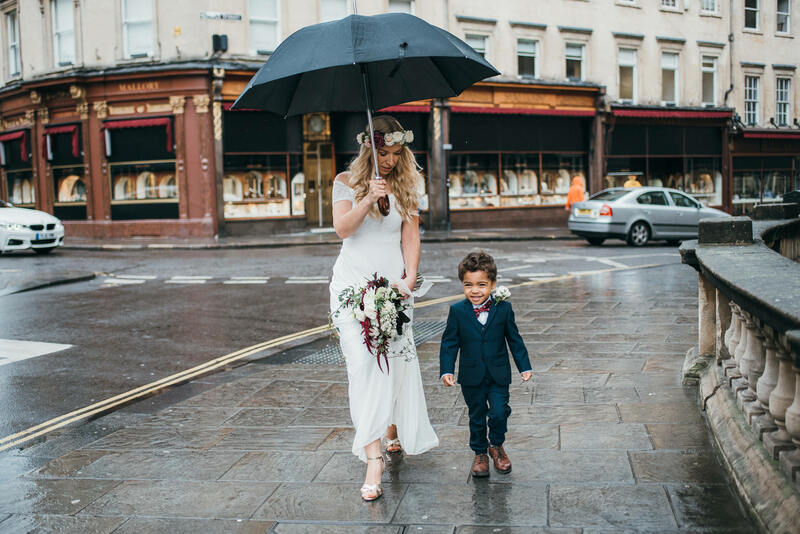 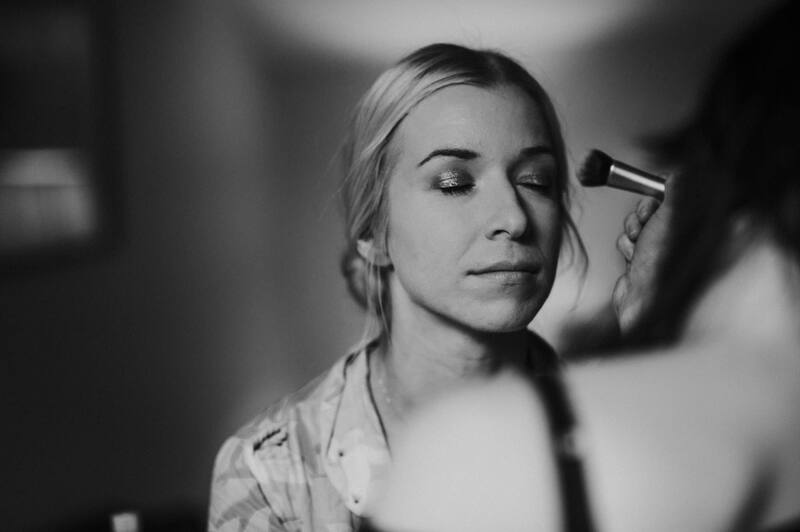 Karin’s makeup was done by Amy Elizabeth and their flowers came from Pulteney Bridge Flowers. 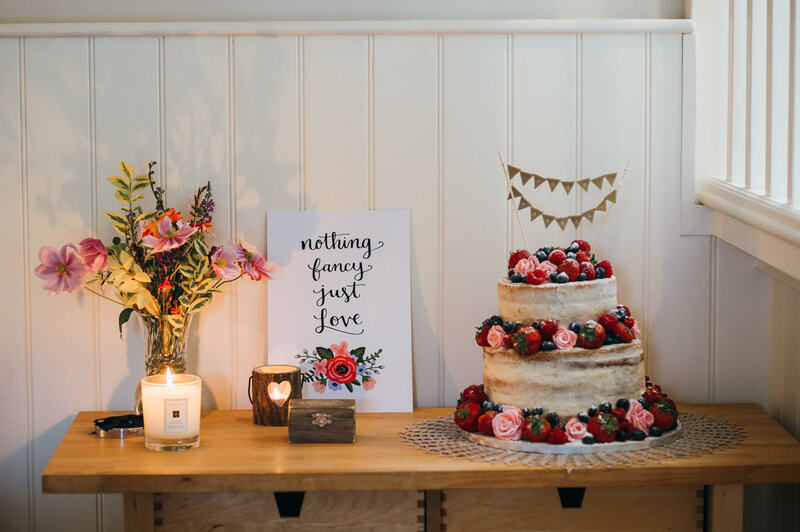 The beautifully decorated cake was a gift to the couple. 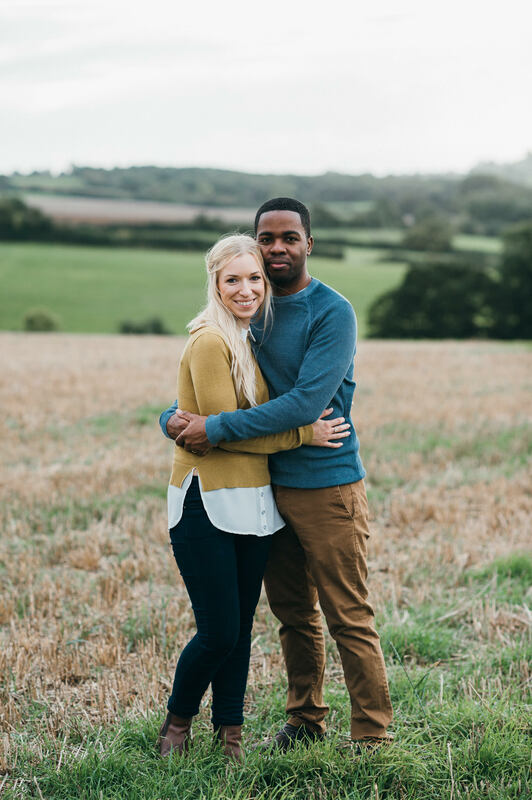 I caught up with Karin and Tyrone again later on in the day and we went for a lovely evening walk in the countryside around Priston. 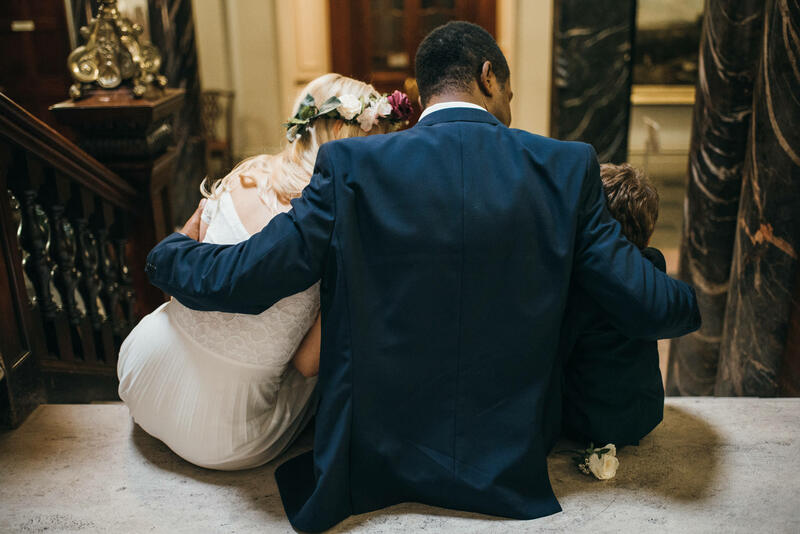 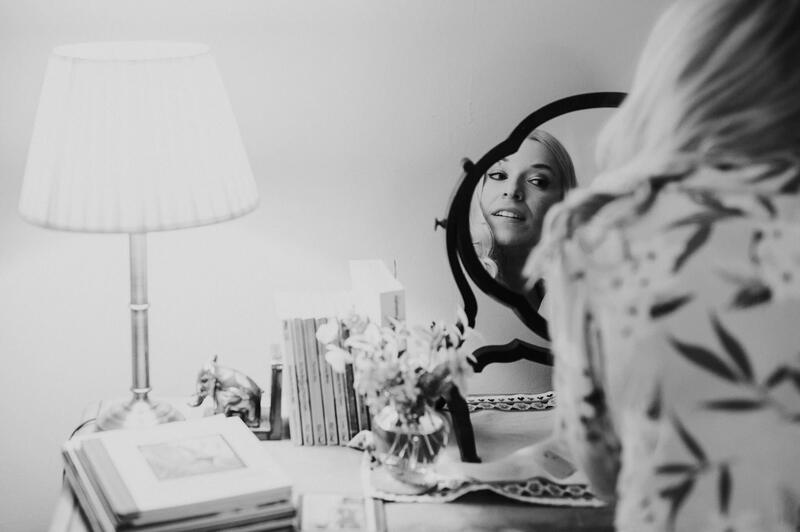 Enjoy these shots of their very different, but very special day. 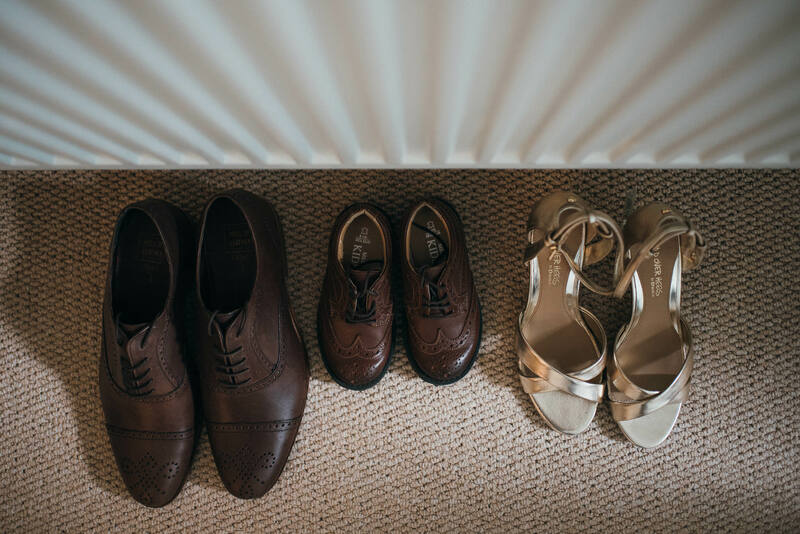 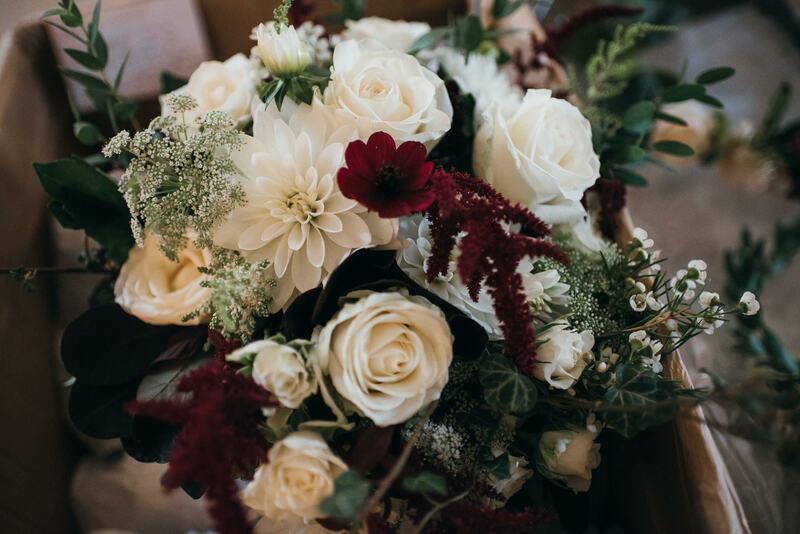 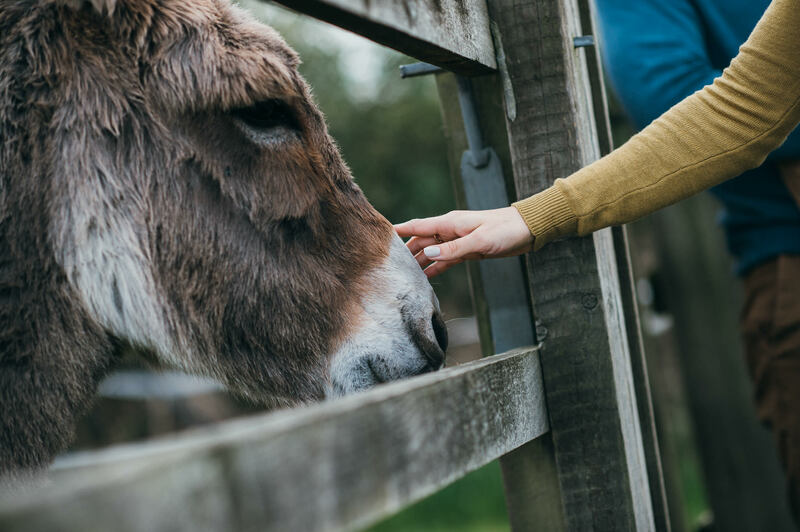 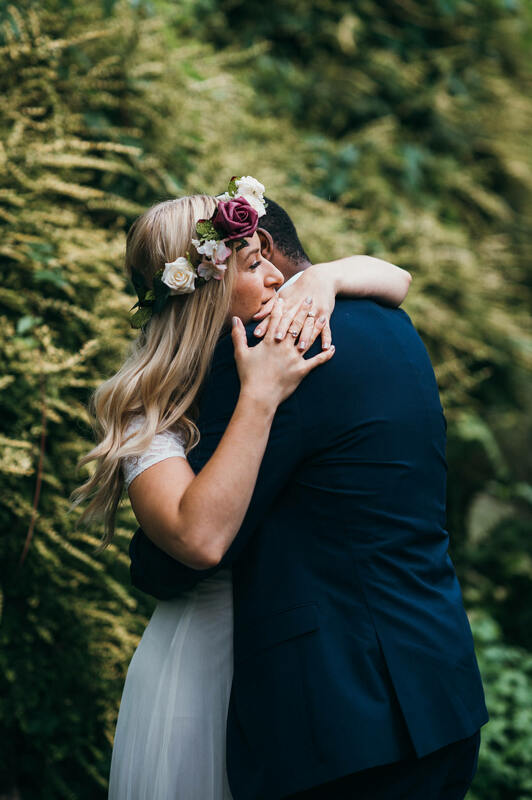 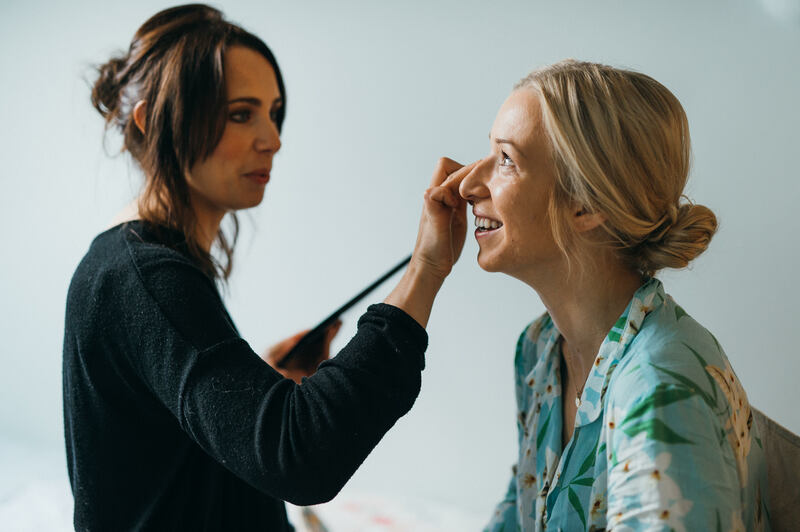 ​I love doing weddings of all types and sizes, so do get in touch via the Contact page if you are getting married and would like to find out more about my wedding packages.